Premium Thermal Performance: polar fleece shell & plush lining, especially warm in cold weather, soft, durable and skin-friendly. 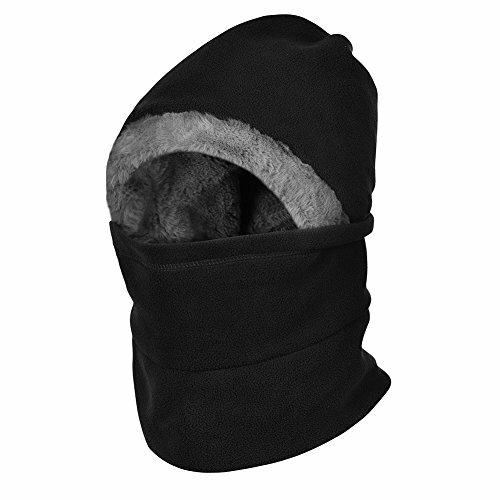 All-round Protection: keeps snow and wind outside, protect your head, nose, face, ears and neck well. One Size Fits Most:(heigh: 31cm/12.2inch; head circumference:56-62cm/22-24.4inch) unisex style, ideal for men and women. Wide Application: perfect full face mask for skiing, snowboarding, hiking, climbing, fishing, hunting or any other outdoor activities in cold weather.